So I’ve been in the process of applying for PhD programs over the last couple of years as I was finishing my M.Div.Honours at Providence Theological Seminary. In my researching, I discovered there are a few schools offering PhD programs which are particularly pentecostally friendly (and all of them are somewhat new programs): Assembly of God Theological Seminary (Springfield, MO), Regent University (Virginia Beach, VA), Bangor University (Wales, UK), University of Birmingham (Birmingham, UK), the Hollenweger Center (Amsterdam, The Netherlands), and Alphacrucis College (Australia). All of these programs are interestingly enough distance programs…which may (in part) be due to the Pentecostal ethos of pragmatics (though this is just an assumption on my part) since they allow for continuing ministry while pursuing academics. AGTS’s program is the newest (starting 2011) and offers the more traditional American track for PhD work which involves fairly extensive course requirements accomplished twice a year (for a two week stint on-campus) prior to dissertation writing. This program is still in its infancy and hopefully will move toward more rigorous application requirements (beyond the VERY minimal language requirements in particular — one year of Greek and Hebrew). There are four tracks available: Biblical Theology, OT Studies, NT Studies, and Systematic Theology. One of the difficulties with this program at present is also that there are simply not a great number of faculty to supervise students. Regent University’s program similarly offers coursework prior to official dissertation work. The requirements for entrance are more stringent as are the requirements for maintaining status as a student. Technically, this program is NOT a Pentecostal program…it is a “Renewal Studies” program offering tracks in Biblical Studies (OT or NT specialization), History of Global Christianity, and Christian Theology. The distinction should not be dismissed lightly. 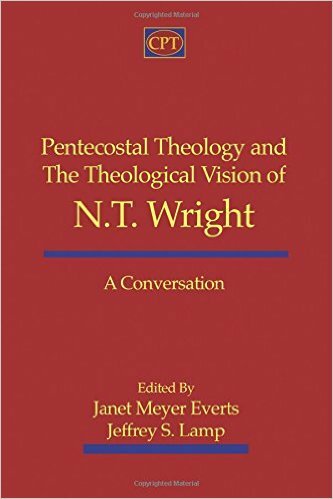 The “Renewal” nature of this program means it is more concerned with generalized understandings of the Spirit’s work rather than functioning within a Pentecostally constructed framework (such as one finds in Classical Pentecostalism). This program requires on-site studies for two week stints three times a year. The faculty of Regent are top-notch Renewal/Pentecostal/Charismatic scholars in their field (Estrelda Alexander, Stanley Burgess, Dale Coulter, and Vinson Synan), but sadly the OT focus (which is mine) is the weakest of all the programs for faculty qualifications. Bangor University’s program follows the British model for PhD work which is entirely research/writing as opposed to the coursework of a U.S. program. While the U.S. programs prepare a student for future studies in a broader preparation, the British program offers the self-motivated student the opportunity to jump right into the research they are intending for their final project. Bangor’s program is in conjunction with Pentecostal Theological Seminary (Cleveland, TN; via John Christopher Thomas – Clarence J. Abbott Professor of Biblical Studies). 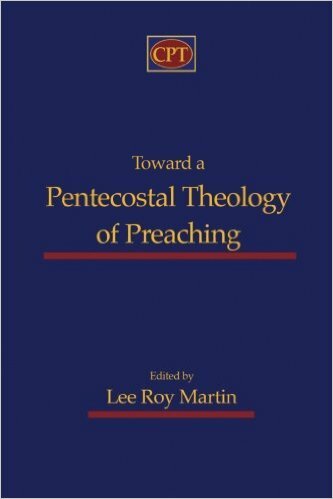 This program facilitates the Pentecostal scholar to write from an explicitly Pentecostal perspective (see the works of Ken Archer, Chris Thomas and Lee Roy Martin for examples). The program functions somewhat in conjunction with the Centre for Pentecostal Theology. The student is only required to attend discussions/critiques of their current dissertation writing twice a year (for a two day stint each time) at the CPT location in Cleveland, TN (along with monthly supervisions via Skype)…and then to defend their final work onsite at Bangor (the viva). Birmingham also (naturally) follows the British model of research/writing. They require one two-week stint onsite per year and then attendance for the viva. The Centre for Pentecostal and Charismatic Studies (at Birmingham) offers considerable resources for such research and writing and offers several notable faculty (Walter Hollenweger was one of these). The Hollenweger Center is based in Amsterdam and is a part of the Vrije Universiteit Amsterdam. There is no requirement to know or learn Dutch as a part of this program, but one must regularly visit and research onsite over the four year period intended for the dissertation (see requirements HERE). There are no specific course requirements, but any given number of seminars should be taken to aid the student in their research and studies. Alphacrucis College in Sydney, Australia now (2016) offers a PhD in business, education or theology that is taught be leading scholars in their field. It is an entirely research/writing based program that requires no residency nor a viva/oral-defense following standard Australian academic procedure. If I’ve missed any I would love to know so that I could add them to this post. I would welcome any comments or questions about these programs as I’ve done the application work for all of them (plus others) [I did not apply to either Birmingham or The Hollenweger Center], but determined Bangor was the best fit for me. Thanks for the comment Charles. I was really looking at programs that focus on Pentecostal perspectives, rather than simply Pentecostal scholars teaching in other institutions. I cannot see that UHL specifically focuses on such…do you know if they do? Hey Rick, Thanks for the info. I have researching programs at the MA level an have decided to start the MA in Evangelical and Charismatic Studies at Birmingham in the Fall of 2014. Who knows after that?! That is wonderful. It is often surprising the paths the Lord leads us down. Thanks for all of this information! Where did you end up? What are you doing now, i.e. studies, etc.? Hi Rick, thank you for this blog, very helpful as i have 1 more semester at Regent Univ for the Masters in Thelogical Studies. My wife and i are looking at Birmingham. I noticed that their PhD is only 3 years full time. Since we just turned 50 years old, time and money are precious and so this has been good news. Considering moving there. But not sure. ***Questions: any follow up advice to prepare us for degree overseas for admission and what its like and any recommendations? Glad to know this was helpful to you. Birmingham is an excellent institution. Would you be seeking to study with Andrew Davies? The British PhD typically only requires that one demonstrate proficiency in research and writing and therefore does not require courses to be taken (which is the benefit for those who feel more prepared to do such a level of writing). Admission tends to be based on a defensible proposal that you have hammered out with your proposed supervisor (esp. as they will know certain things the institution may be very particular about). One thing about British programs is that they tend to only require residencies. This means you could actually live in the U.S. and travel for several residencies to the U.K. as part of your program. Of course, they welcome students to relocate to the U.K., but their system does not require it like most U.S./Canadian ones. A book I highly recommend for those seeking a PhD within the British system is How to Get a PhD by Phillips and Pugh: https://www.amazon.com/How-Get-Phd-Handbook-Supervisors/dp/0335264123/ref=sr_1_1?ie=UTF8&qid=1471358353&sr=8-1&keywords=how+to+get+a+PhD There is even a very helpful chapter on managing your supervisor (something which I had not considered previous to reading this). It is highly practical and would likely benefit you giving it a read. Let me know if there is any other way I might be of assistance. We are still deciding so not sure about Andrew Davies. Would you say Bangor and Birmingham were your top 2 choices before you made your decision? What would you say are the pros and cons when contrasting those two schools? Thank you for the book recommendations, really looking forward to getting those 1 books. Neither was in my top two choices. I actually had other plans, but John Christopher Thomas (Bangor) chatted with me at a Society for Pentecostal Studies meeting some years ago about the Bangor option and it was a wonderful fit for what I wanted to do and who I would study with. I know others who are benefiting greatly from their work through Birmingham. The difference between the two is that the Bangor one only requires a trip to Wales for the viva (and several trips a year to Tennessee), while Birmingham requires annual trips to England throughout the research and writing. Thanks very much for this helpful article. I don’t want to get too personal, but I am currently considering Bangor. Would you mind sharing the approximate cost of the degree? I’m happy to connect via email or phone if you prefer. Thanks so much. No problem. It was about U.S. $8000-$8500 per year for part time status when I did it. Thanks for your post, Rick. I’m sharing it with someone again today. Glad to be a resource. If you discover any other programs please let me know and I’ll update this. I’m always on the lookout for such.